You must make reservations at least 5 minutes in advance of the time at Bice - Naples. We have a Semi-private room available for up to 50 people. 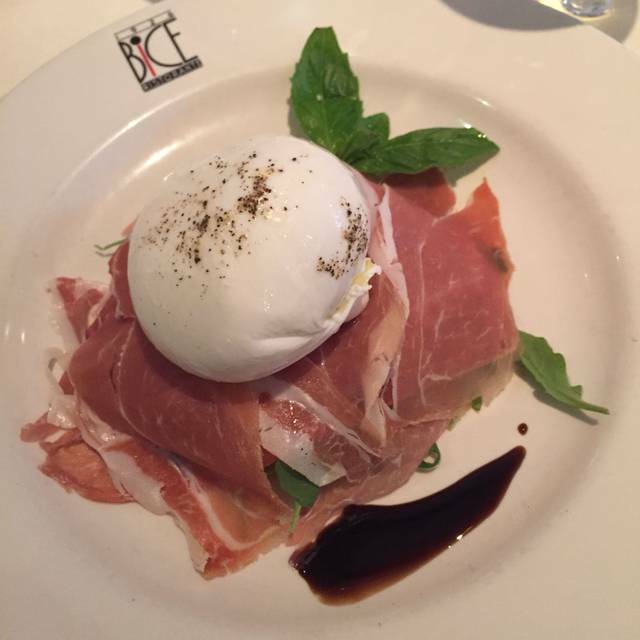 Experience the exquisite decor, tantalizing Italian cuisine and service paralleled to none. An exquisite culinary voyage right to the heart of Italy awaits you amid a decor which combines Old World elegance and modern chic. BiCE Ristorante offers exquisite Northern Italian cuisine, and superb service in an elegant atmosphere. 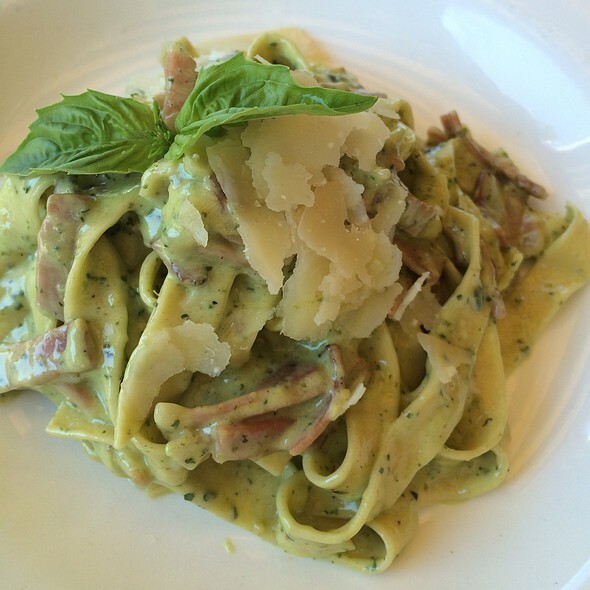 Featuring homemade Pasta, Veal Ossobuco, Veal Chop Milanese and Tiramisu. The service at BICE is EXCEPTIONAL. Attentive and professional without ever being intrusive. Food is well prepared and creative. This is the special time of the year when they have truffles. 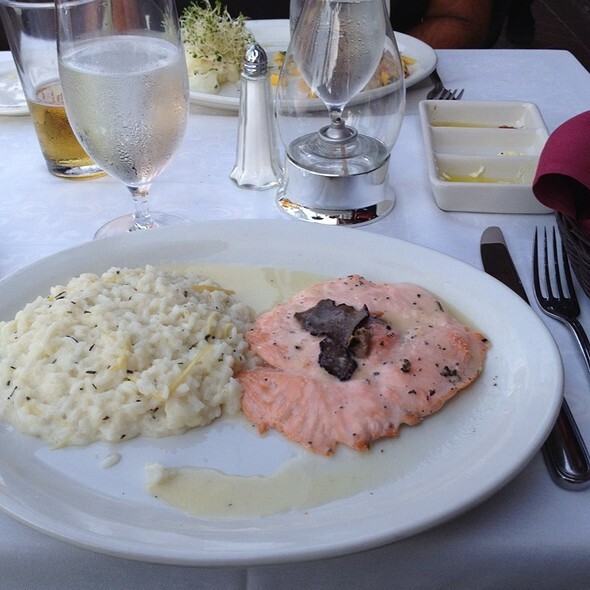 Their Risotto and truffle carpaccio were wonderful. The minestrone soup was delicious. The veal chop was very good, as was the dessert of chocolate covered gelato (hit the spot). We were disappointed that the service was not up to par. The waiter neglected to bring bread to the table and appeared rushed to get to the next customers. Would not allow use of gift certificates during happy hour!! THEY are comparable to cash!!!! After happy hour we made an evening dinner reservation. Would not void the transaction after the waiter mistakenly did not apply a second gift certificate. Waiter said come back another time to use the second gift certificate. Manager agreed that the transaction would not be voided even though THEY made the mistake. This discussion at the table in front of our guests was embarrassing and inappropriate. As regular patrons we probably won’t be back. Average food. Extensive wine list appears to be made to maximize profit margins. Started with a $125 Brunello which was below average. Decided to downshift to a $60 Chianti as the second bottle. The waiter brought a $200 bottle of something else and had to be corrected. Below average service. We had an 8:30 reservation and were ushered out at 10 pm. We had a table outside. Conversation was interrupted from time to time by cars with loud engines. Not the best ambiance! Had lunch with friends. The special of the day was veal parmigiana with Arugula. 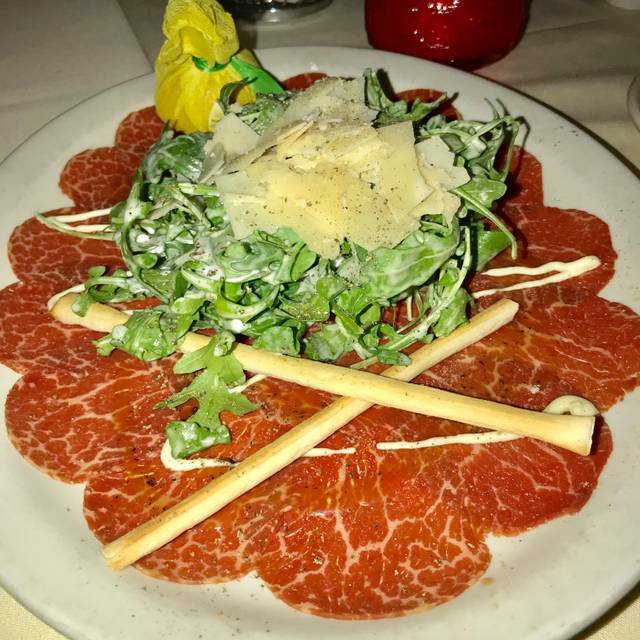 I ordered it but asked if they could replace the arugula for some other vegetable. The answer was no. This is the second time this happens. The first time was during happy hours, so I understood, but this time it was at close to noon and I was paying full price. 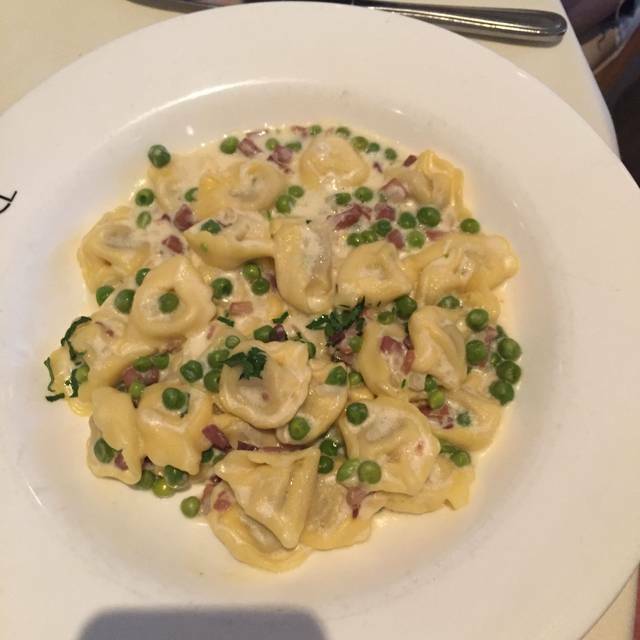 We enjoyed the begging carpaccio appetizer and the branzino & home made pasta were all extraordinary. The server was professional and attentive. Food was excellent. We split a salad and appetizer, then each had a main course, which was plenty. Service was excellent, neither rushed nor to slow. Our server was from Macedonia, and had traveled quite a bit as a sommelier and waiter. He was quite helpful with the wine, especially when my first choice was sold out. We ate outside, next to a wall of plants separating us from the sidewalk; nice ambience. In Naples for vacation. Our second time to Bice. This time for lunch. Meeting a Local friend. We were not rushed at all. Service was impeccable. Our server Goce was absolutely wonderful. Headed back for dinner. Very nice restaurant. Food was very good. Will go back again. Restaurant is very noisy. That issue could be solved with something to absorb some of the sound on the ceiling. Food was above average, not great but above average. Waitstaff was a little pushy. They need to do something about outdoor seating and bugs. Dinner at Bice is always good.....Love their Chicken Piccata and wonderful Caesar salad.....Service is always excellent.......You will enjoy your evening at Bice!!!! Had a friend come from Cleveland to visit and thought I would give Bice 1 more try. 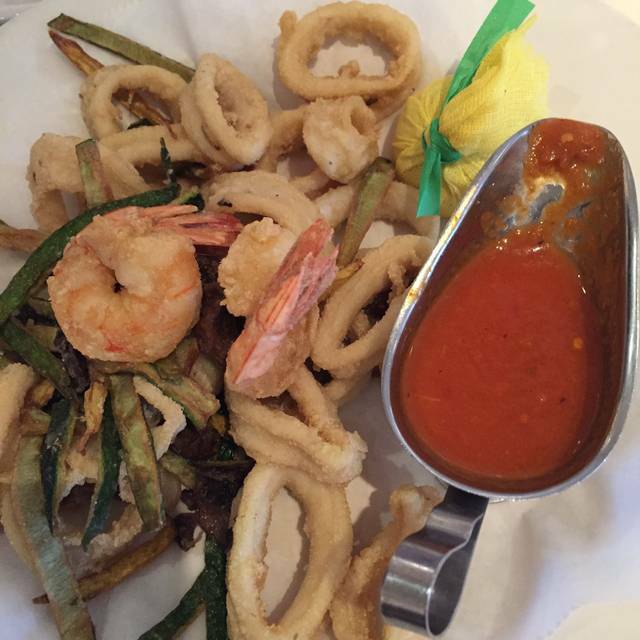 When we moved to Naples 2 years ago we came to Bice and had a wonderful meal. Requested a table on 5th and got it. I have since tried it 4 more times and I think this last time will be our last time. Each time we keep thinking it was just an off night the last time but we have given up. They once again put us on the 3rd street side instead of requested 5th street side and it was not Pleasant. The cars fly by trying to make the light at 5th and they rev the engines as they go by. This does not happen on the 5th street side because there is too much traffic and no quick escape root. The service was average - no complaints there but the food was not. 2 of us had linguine & clams and some of the clams were not cooked. The sauce had no flavor. My wife ordered the Mussels and their was way too much red sauce - don’t know what they were trying to accomplish but way too saucy. My friends had the spaghetti with lobster and did not care for their meal as well. What a lovely evening we had a Bice! Our waiter was wonderful -- not overbearing, but vey attentive, the food was absolutely delicious, the setting just right. Highly recommended! Very loud due to a party in the bar. Sat outside which helped a little. We had a reservation that was honored as soon as we arrived. Nice round table. Milosh, our waiter, was wonderful & entertaining. The food was reasonably priced & outstanding!! Our party of 8 all had great things to say about each entree. Excellent food and service. 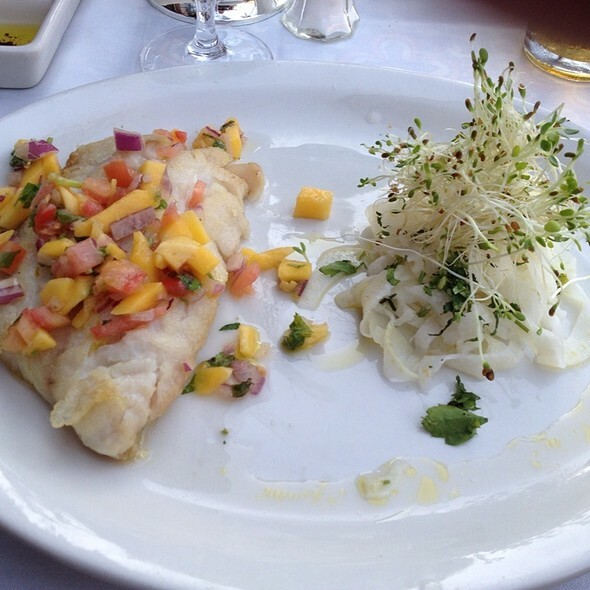 The branzino entree was delicious. Everything was great except the Lasagne was somewhat runny. We have had this dish before when it was excellent. Didn’t spoil the evening though. We met my grandaughter and her boyfriend for lunch at Bice. We had a very nice outdoor table on a beautiful sunny day. The service was attentive without being overbearing. The food was excellent. We each had a different dish and each one was outstanding. They were out of a wine we ordered but our second choice was very good. We would go there again without hesitation. I had the seafood over pasta. The entry that was served was the size of a decent-sized appetizer. I'm not looking for them to super-size me, but I also don't need them to put me on a reduction diet. It's disappointing when you have to order more bread because you're still hungry after finishing your meal. How much would it cost to put a little more pasta beneath the fish? We love Bice!!!! Great food, wonderful service and amazing atmosphere every time! Food was delicious. Service was excellent. Very comfortable dining room. Would have given it 5 stars overall but was shocked when they declined to except my 250.00 American Express Gift Card. They gladly excepted my Gold Card but flatly refused to accept my gift card. The waiter refused to even consider the gift card which is accepted up and down 5th Ave. at all the other restaurants with a smile. A perfect evening ending on a sour note. Get your business in order and if you are going to accept payment from American Express Gold Cards, then except their other payment instruments. Was going to apply it to an outrageous tip too. Met my Cousins for lunch. Service was great. The bread with the truffle butter was delicious! 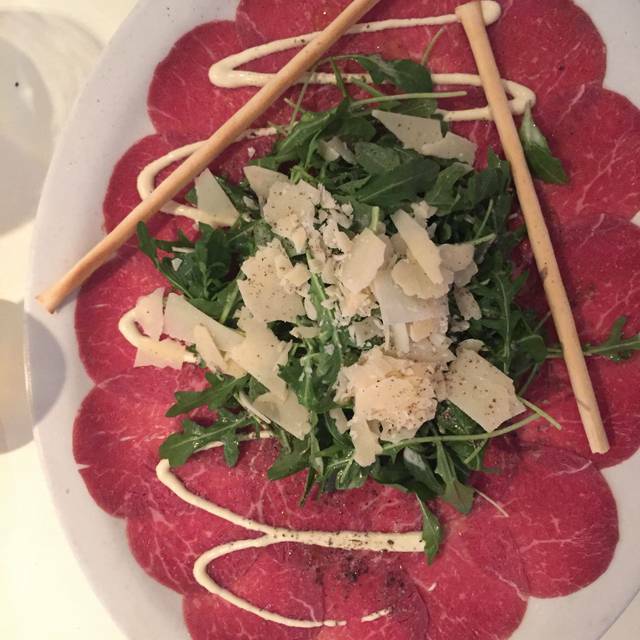 My beef carpaccio was also super. Very nice place to dine. Food and service were vey good. my only negative comment is we were hurried to complete our dinner to allow the table to be available to the next customer. There were 3 of us that made a reservation in order to have lunch and watch the St Patrick's Day parade. We sat outside and had a great time. 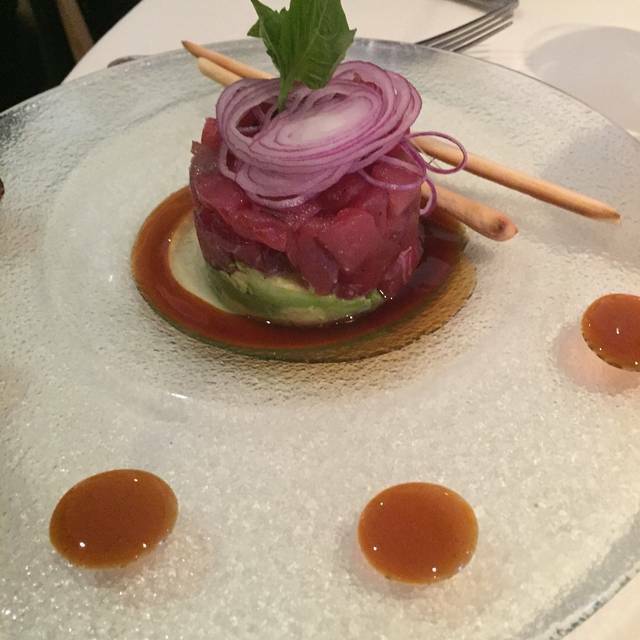 Outstanding service, outstanding food, great ambiance. I pleasure to dine there. Excellent service, Fun upbeat environment with wonderful music playing. Very professional wait staff and bartenders. Great location, our party order 4 pasta dishes...all very good. Wine by the glass reasonable. Wonderful evening! The food was excellent however I did lyrical little flavor in the pasta sauces.